You want to develop your muscle mass quickly, without water retention? Do not search anymore ! Take a Testosterone Propionate Cure. Testosterone Propionate has a very short action. Indeed, it will act in 1 or 2 days. 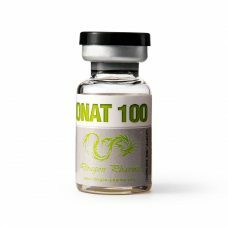 Testosterone Propionate will therefore quickly give you a significant weight gain, without water retention. You will then have a musculature developed and striated. It will also give you a surplus of energy. Finally, it will encourage the production of red blood cells, promoting blood oxygenation. Thus, she will develop your endurance to the effort. 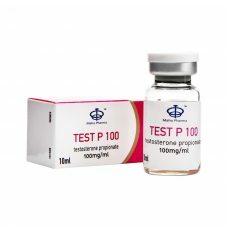 Choosing a testosterone Propionate is the assurance of developing your muscle mass quickly, and of exemplary quality. 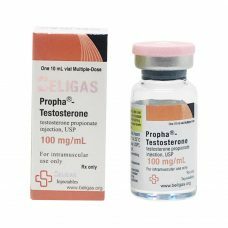 To help you achieve your goals, top-steroids-online.com offers you a wide selection of Testosterone Propionate, from the most prestigious laboratories (Myogen, Magnus, Swiss Remedies, Hilma, Eminence ou A-Tech Labs). Ripped 150 from Magnus Pharmaceuticals is an injectable steroid that contains 50 mg Testosterone Propionate, 50 mg Trenbolone Acetate and 50 mg Drostanolone Propionate, which is a total amount of 150 mg of substance per ml. It is available in a vial of 10 ml.